I fear I need to make certain I give a disclaimer. 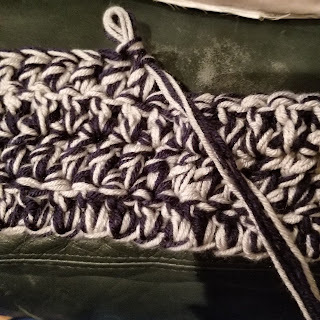 I am a lefty crocheter. I don't follow patterns well because many don't translate well for lefties. Combine this with a less-than-rule-following personality and get a less structured pattern. This will bother some, and I apologize in advance for this. The recommendation on some websites is 10% of body weight. It is possible that some might need that much pressure. It is my opinion that this could be much too much weight for the average youth and could lead to an unsafe sitaution. Even the 5 pound one (much less than 10% of my weight) reduced my anxiety while I was making it! The last two skeins are more complicated. 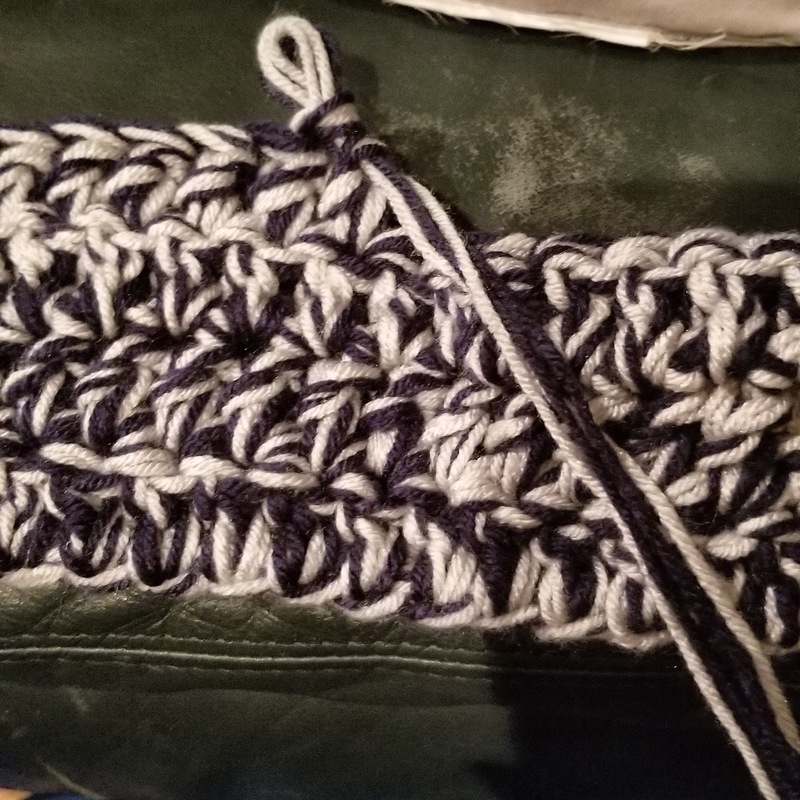 I made a ball of yarn until it was about half of the skein and then was able to have 4 at a time this way. This netted for me about 60 rows and was about 40x60 inches. A larger hook would make it a bit less dense (and maybe less warm if you live in the South). I know these directions are a bit convaluted. You should be happy you don't live in my head, this is how I think! Please feel free to comment and ask questions so I can better explain the process!